The use of pharmacological interventions to treat the symptoms of psychological disorders is readily becoming the first-line option for clinicians and their clients. Although most neurological and psychiatric professionals are well versed in medicinal agents, many remain uninformed about current pharmacologic practices that may have positive or negative neuropsychological impact. 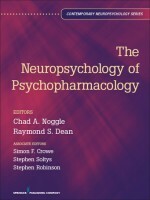 This text serves as an up-to-date reference for clinicians and researchers, covering current practices and advances in pharmacological interventions for psychiatric and neurological presentations and the pharmacologic mechanisms that influence the actions of the central nervous system and behavioral outcomes. This journal explores key topics like foundational principles and concepts relevant to pharmacology, including: agent selection, addressing symptoms, physiological factors, and treatment guidelines, pharmacological principles of pharmacokinetics and drug uptake, comparison of positive and negative outcomes of drug interactions as well as specific practices in pharmacology, including comparative efficacy of agents as well as differential selection based on symptom constellation.